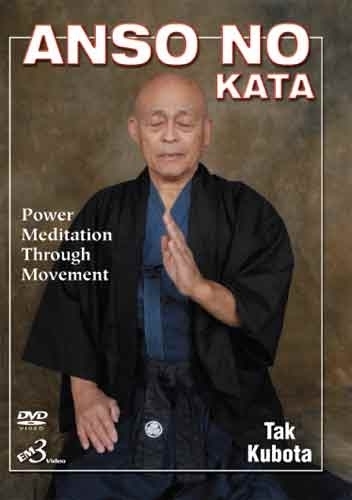 By Tak Kubota In this DVD, Soke Kubota presents Anso no Kata, a meditation form, which is performed in a slow rhythmic fashion. It is designed to help relax your muscles during the various changing movements. Life is movement and movement is life, so it is important to practice meditation while in motion, as well as in non-movement form. This can heighten your awareness of yourself and your surroundings. True inner relaxation and calm is the foundation for the development of genuine power, energy and well being.